Welcome to the archives of the Oikos blog. Oikos is a blog I authored from 2005 to 2009, focussing on environmental economics and environmental policy in Australia. If you'd like to contact me, please email me at ozelaw[at]yahoo[dot]com[dot]au. I check the account sporadically. 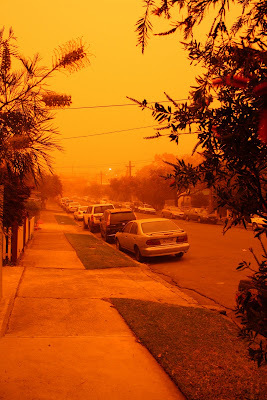 We have a good idea now of what the so-called Carbon Pollution Reduction Scheme is going to look like, after the Government and Opposition hammered out a deal on Tuesday and it was endorsed (barely) by the Liberal Party in a turbulent day yesterday. It seems that the Government now has the numbers to get the Bill through the Senate, with enough opposition senators willing to support it. Environmentally, it is modest indeed: it should deliver the Government's committment of a 5% greenhouse gas reduction by 2020. The Government has committed to a 15% reduction by 202 if there is an effective global agreement but, first, that looks unlikely and, second, even if there is, after the way the scheme was been watered down and watered down as it goes through the political process, I really don't have much confidence that the Government could get a scheme up that delivers 15% reductions by 2020. It's also probably worth noting that those 5% reductions won't all happen in Australia - under the scheme as it is, most reductions will be achieved by Australia buying credits from overseas schemes. I don't have a big problem with that - it essentially means Australian money driving additional reductions overseas - but a lot of people feel that when we commit to reducing our emissions, we should actually reduce our own emssions rather than paying others to reduce theirs. Economically, I've heard it described as a "rent-seeker's paradise" and a massive transfer of wealth from households and small business to big polluters and I think those statements are pretty fair. It contains massive compensation for affected industries, and reasonable compensation for low-income households. Everyone else pays. Surprisingly, it is revenue-negative for government. The questions is whether it's better than nothing at all. I'm not sure. On the plus side, it will drive some reduction in emissions and, probably more importantly, it establishes the machinery for dealing with the problem - we'll gain experience with an emissions trading scheme that can, in theory, be improved in the future. The Greens are adamant, however, that it will "lock in failure" and I think there's something to this argument. They claim it will actually unleash a lot of investment in coal-fired electricity generation and other polluting industry. I think they may be right: carbon-intensive industries have been worried about carbon policy and the CPRS gives them certainty that the policy environment will be very friendly for them for at least a decade. It also showers them with cash - it seems to me the dirtiest industries will actually profit from the scheme. You also have to wonder about the political likelihood of it being strengthened in the future - I think things would have to be looking pretty grim for the climate to get the political impetus to genuinely fix it up. It's all pretty disappointing for someone who has high hopes in the ability of market-based policies to deliver good environmental outcomes at low cost and spread fairly over the community. If this is what an emissions trading scheme looks like in practice, the fact that I think a purer scheme could work really well in theory is pretty hollow. If the tax structure from early last century prevailed today, we would have to raise $40 billion from excise and $230 billion from tariffs to meet today's revenue demand. At that rate the excise on a schooner of beer would be around 7 times what it is today. And I shudder to think how much a television set would cost. When vehicles drive on a congested road they impose costs on other drivers. Each driver thinks of their own need to get to their destination, not considering how, by taking up space on the road, they impinge on the ability of other drivers to do so. There is no means for one driver to coordinate with others, to bargain about who should have priority, so that they can all be better off. This results in a predictable 'tragedy of the commons' which is estimated to waste around $9 billion a year in avoidable congestion costs, increasing to around $20 billion by 2020. Such costs will only increase with faster population and economic growth. 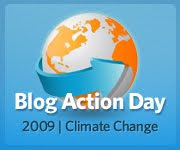 Apparently today is Blog Action Day for Climate Change and I thought I'd throw it open to my wonderful blog readers. I find myself alternatively optimistic and despairing on climate change. How bad is it going to be? Are we going to do what it takes to avoid the worst? And what do you think is going to be the most help? People and communities and businesses taking action themselves? National governments agreeing on strong action at Copenhagen and setting up strong domestic laws, like emissions trading? Peak oil or economic crisis reducing emissions automatically? Or technological breakthroughs making it easier than we thought? Or will it take some real environmental crisis to get the impetus? What do you think? Put in your two cents for Blog Action Day - bloggers, regulars, visitors and lurkers! What's the Opposition's climate policy? 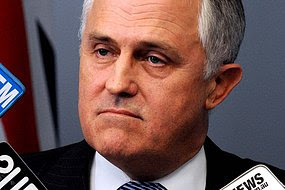 I saw Maclolm Turnbull interviewed the other night saying that he supported emissions trading and reminding people that emissions trading was indeed government policy under the previous Howard Liberal government when Turnbull was Environment Minister (it was pretty token and very very late if I remember rightly). He also said that it had been on their "legislative program" to introduce (I guess they ran out of time; 11 years in government only gives you so much time to make new laws). He said the Coalition didn't oppose emissions trading (it was Coalition policy) - what they oppose is Labor's confused and costly scheme. It all made me think: what is their position? I don't recall them articulating what exactly they don't like about the proposed scheme and what they would do differently. It seems that every public figure and lobby group in Australia has said what they do and don't like about the scheme and how they'd like it changed - except our opposition party. As I've talked about before (The great permit give-away), one of the big debates in emissions trading is whether to auction most of the permits or give them away free to industry. Under the Australian CPRS it looks like more and more will be given away, to industries that are particularly affected and/or have to compete with overseas industries that do not face carbon costs. There's a few myths going around about the different results from allocating and giving away permits. One myth that I hear from the green side is that if you give permits to companies for free, they have no incentive to reduce their emissions. A myth I hear from the industry side is that if they're given free permits, they won't have to raise their prices to recover the additional costs of permits. But in theory, you get the same carbon price and the same impact on, for example, electricity prices, whichever allocation method you use. The reason is trade and opportunity cost. Even if a firm gets permits for free, the permits still have a value. They can be sold. Other firms will need to buy them if they want to expand production and the firm with free permits can choose to sell or use the permits. If it can reduce its emissions more cheaply than the permit price then it has an incentive to reduce its emissions and sell the permits - even if it got the permits for free. And if a firm gets permits for free, will it pass the savings on to its customers? Well maybe. But its competitors will still have to buy permits at market price. And the firm (and any other firms in the industry) will have to buy more permits if it wants to expand. So, at the margin, firms will need to take the permit price into account. Now the firm with the free permits could undercut its competitors. Its market share would then increase and it would have to buy more permits - at the market price. Or it could just charge the market price for electricity and pocket the difference as pure profit. That was the experience under the EU's emissions trading scheme, where German electricity generator RWE passed the "cost" of permits onto its customers, even though it had received most of those permits for free. The result was a windfall profit of about $6.4 billion for RWE in the first 3 years of the scheme, and electricity prices that rose by 5% a year. A new experimental study (PDF) also casts some light on the theory. In this study, participants were randomly assigned roles as high emitting or low emitting firms in a simplified industry. In one treatment, high emitting firms were given free permits, while in the second treatment, permits were auctioned. Trading of permits was then allowed freely in both treatments and firms also then decided on how much they would produce and the prices they would charge for their products, taking into account the need for permits and the decisions of their competitors. Under free allocation, most permits remain with the high emitters who received them for free, apparently because the high emitters are able to use their market power to keep the permit price high and reduce trade. Firms pass the cost of permits through to their customers under both treatments (even if they got them for free). Surprisingly, product prices are even higher under free allocation (not sure why this is the case). With free allocation of permits, the high emitters walk away with large windfall profits. These disappear with auctioning, with the surplus instead going to the government as auction revenue and to consumers in the form of lower product prices. This study adds further support to the idea that permits should be overwhelmingly auctioned, not given away. Permit giveaways benefit no-one other than the companies who get the free permits, at the expense of their competitors, consumers and taxpayers. Goeree, J., C. Holt, K.L. Palmer, W. Shobe and D. Burtraw (2009). "An Experimental Study of Auctions versus Grandfathering to Assign Pollution Permits." RFF Discussion Paper 09-39, Sept 2009. So if we believe shoppers are as rational as traders (why not? ), then there should be a parallel efficient supermarkets hypothesis. The efficient supermarkets hypothesis tells us that: (a) the length of the line reflects all available information about its speed (cashier skill, size of preceding trolleys etc), (b) the best way of getting through the supermarket checkout is to pick the closest line and stay in it, and (c) the worst thing you can do at the supermarket is switch lines. Of course, the number one problem with these things is the assumption that your fellow shoppers are rational in their choice of lines. Well, maths teach Dan Meyer has done the research at his local supermarket and it seems shoppers do not always rationally choose the shortest lines! The express lane isn't faster. The manager backed me up on this one. You attract more people holding fewer total items, but as the data shows above, when you add one person to the line, you're adding 48 extra seconds to the line length (that's "tender time" added to "other time") without even considering the items in her cart. Meanwhile, an extra item only costs you an extra 2.8 seconds. Therefore, you'd rather add 17 more items to the line than one extra person! I can't believe I'm dropping exclamation points in an essay on grocery shopping but that's how this stuff makes me feel. So there you go - watch out for the assumptions in your economic models! The main difference between a carbon tax (emissions tax) and an emissions trading scheme is this. With a carbon tax, the price of emitting a unit of greenhouse gases is fixed but the total level of emissions is unknown. With an emissions trading scheme, the level of emissions is fixed (capped) but the price is unknown. It follows that choosing one over the other is partly an issue of whether you want certainty in your environmental outcome or certainty in the cost to industry. The experience of the European emissions trading scheme and now it seems the US Regional Greenhouse Gas Initiative (RGGI, pronounce it 'Reggie' - a trading scheme involving 10 States in north-east USA) has been that the cap on emissions was set too high and too many permits made available, with high volatility in permit prices and permit prices crashing after a while. The governments were too worried about the potential cost to indsutry (which isn't known in a trading scheme, but has to be forecast) and so overallocated permits. Australia's ETS will actually start out as effectively a carbon tax, because the price of permits will be fixed at $10 a tonne for at least the first year. After that it become a trading scheme, with a fixed emissions cap and an unknown permit price. Actually, it's more like hybrid scheme in one way, because it's proposed that there will be a ceiling price of $40 a tonne: companies can buy unlimited permits from the government at that price, so the permit price will never rise above $40. A lesson from the EU and RGGI is that it would make sense to set a floor price too, so everyone knows that the permit price will never fall below, for example, $15 a tonne. That gives some certainty to industry, that investments in emissions-reducing technologies that are profitable at a carbon price of $10 a tonne or more can be made with no carbon price risk. It gives some reassurance to renewable energy and similar industries that they can safely invest. And it means that if reducing emissions turns out to be cheaper than expected, some of the benefit goes to the environment in the form of lower emissions and doesn't all go to indsutry in the form of cheaper permits.